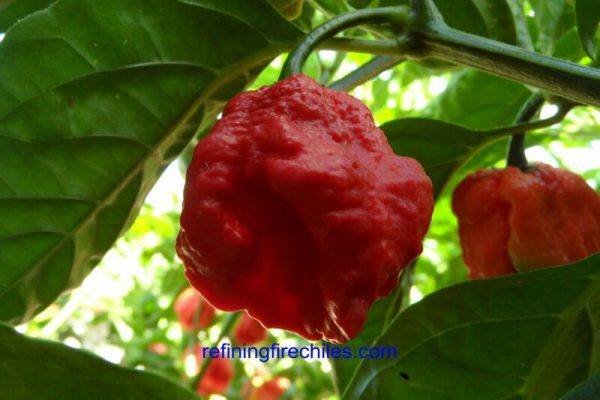 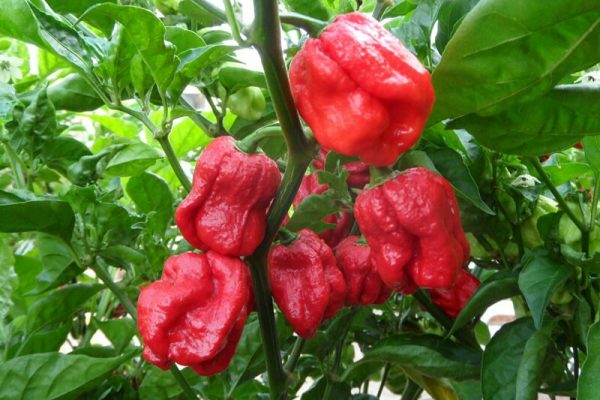 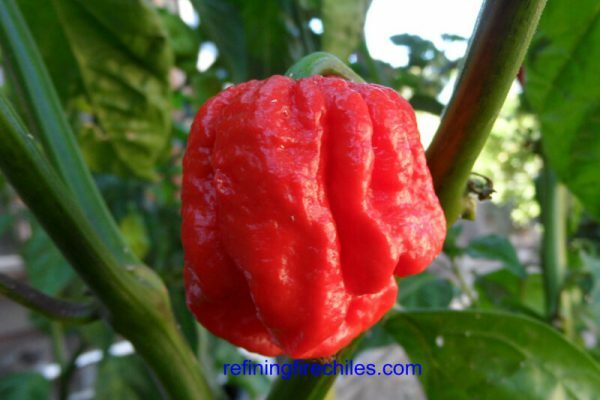 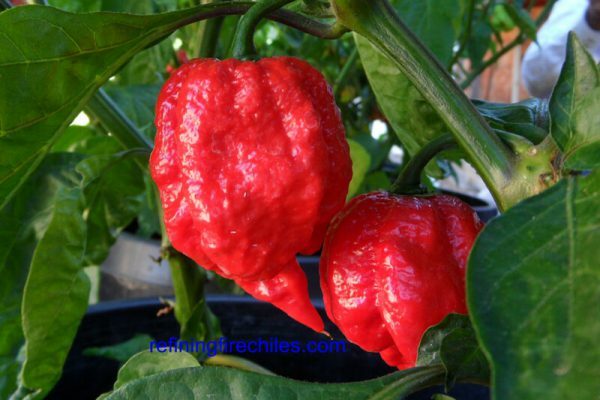 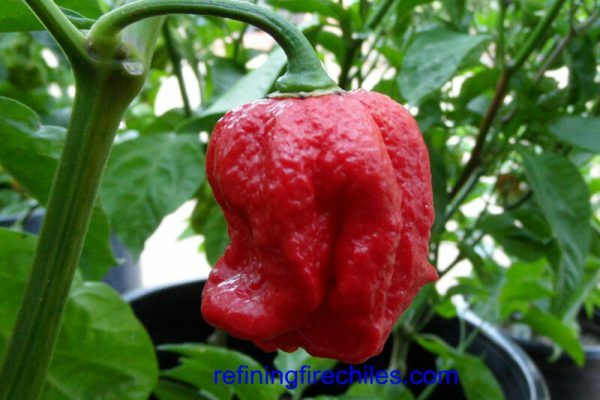 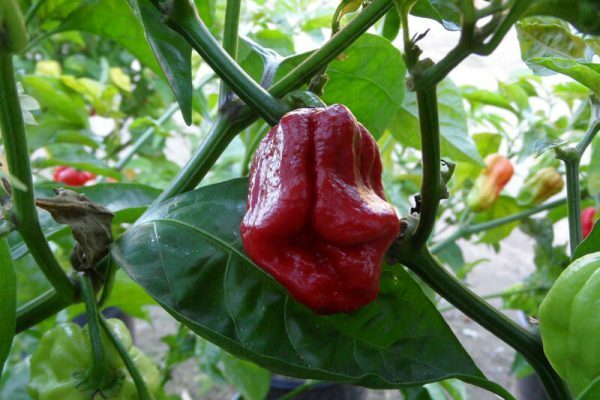 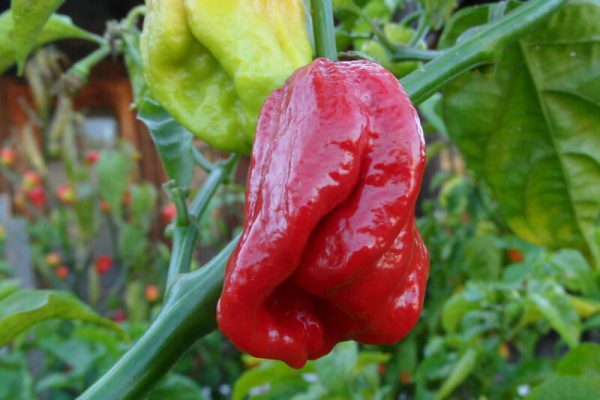 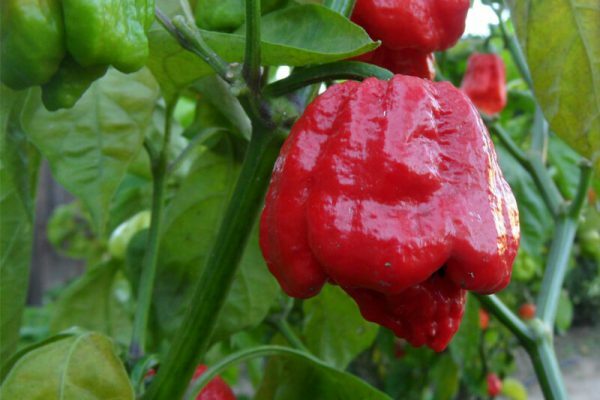 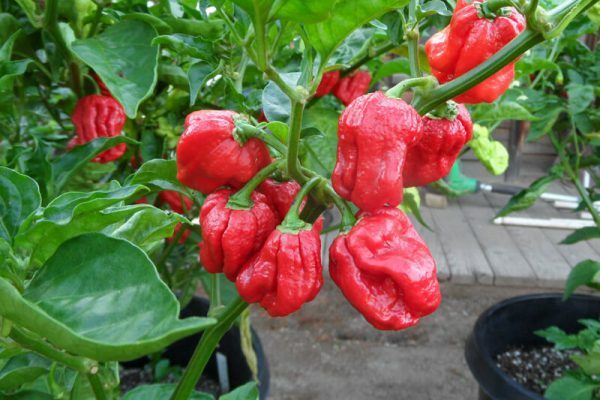 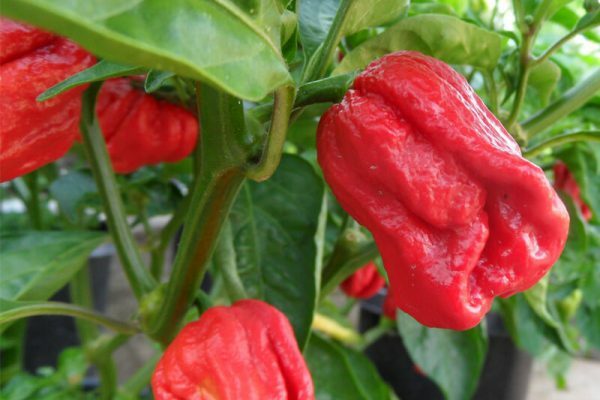 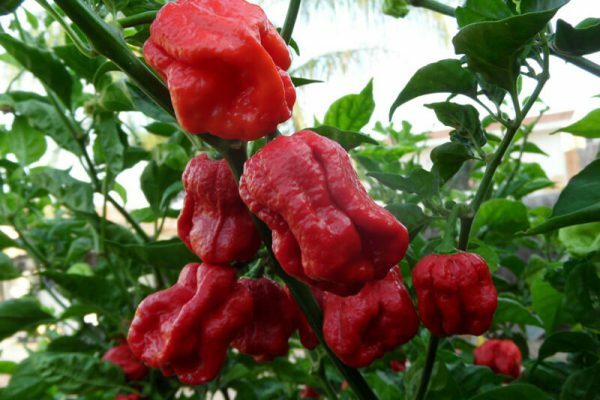 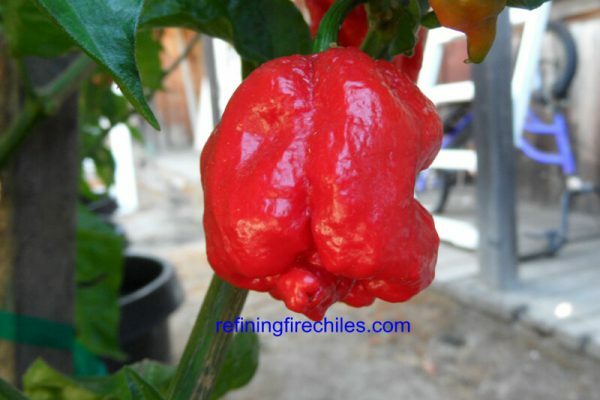 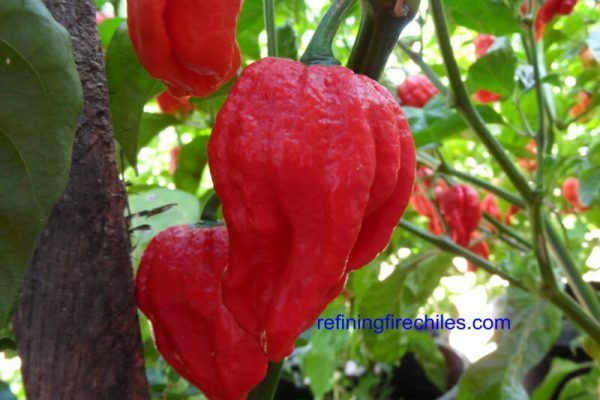 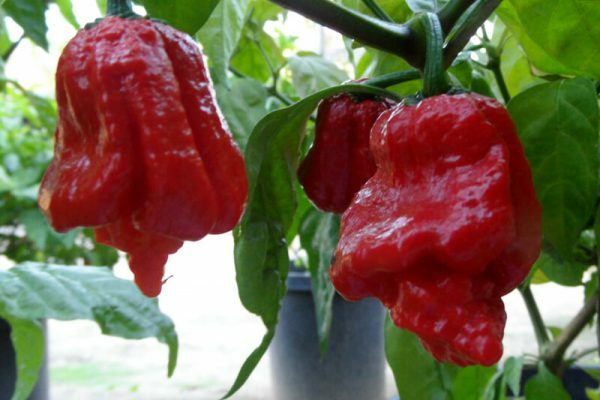 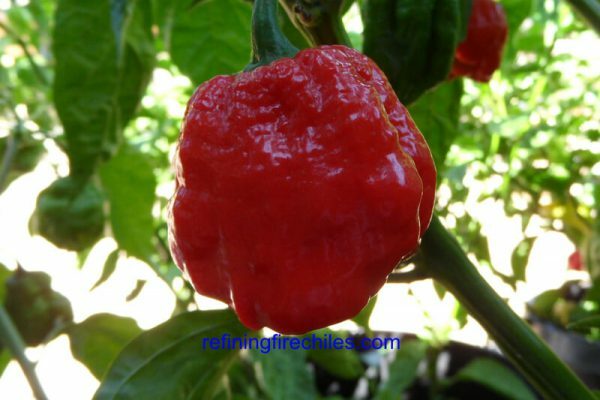 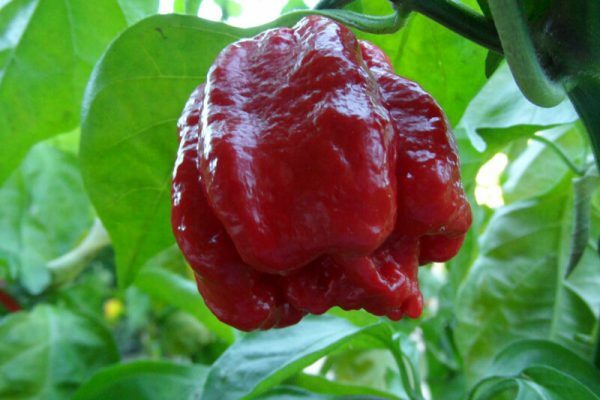 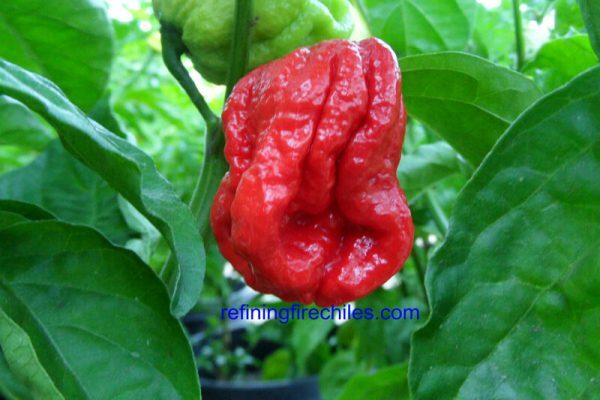 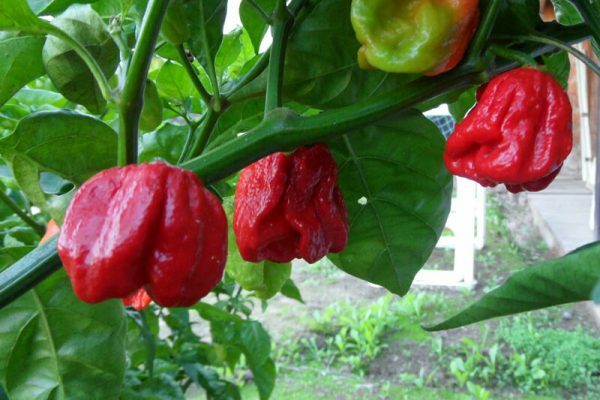 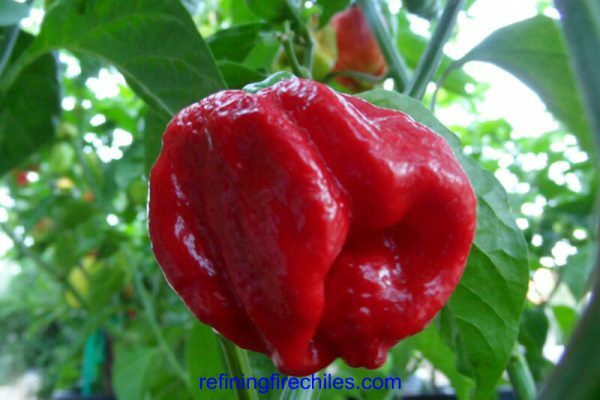 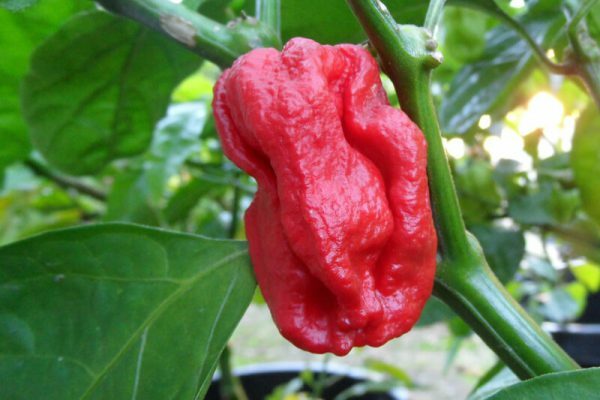 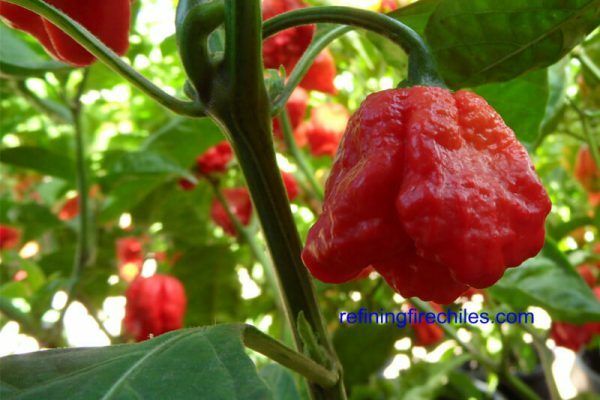 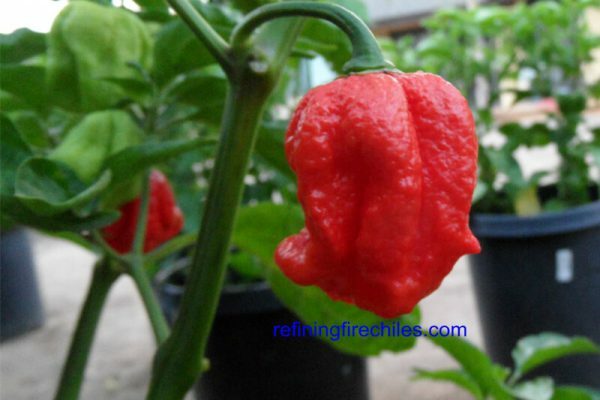 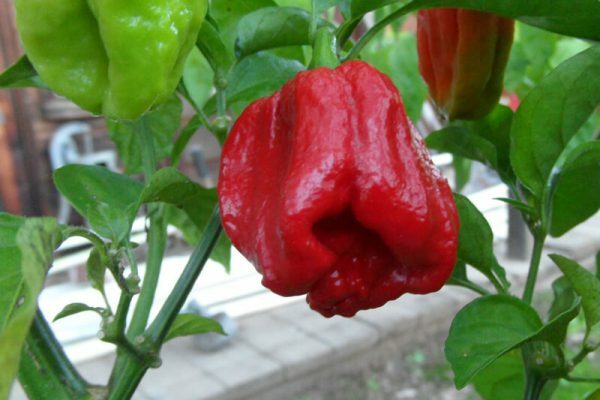 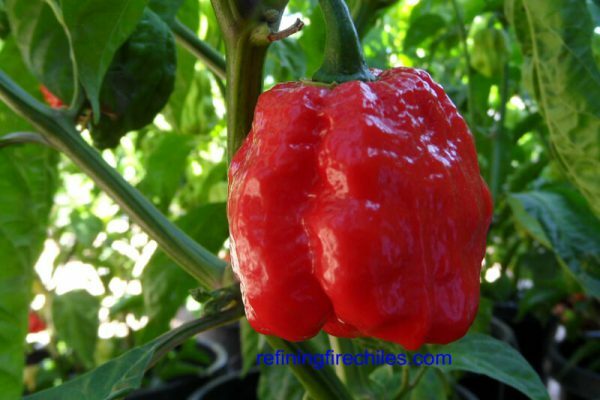 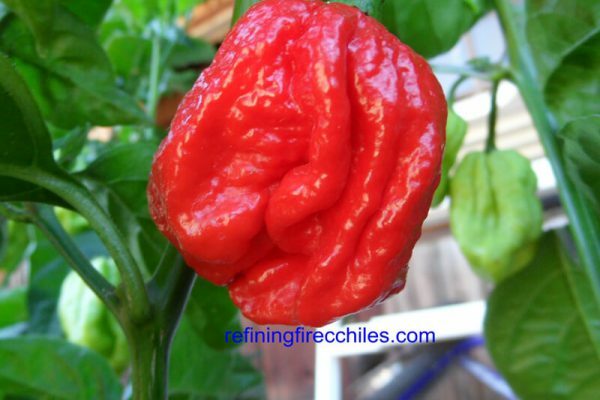 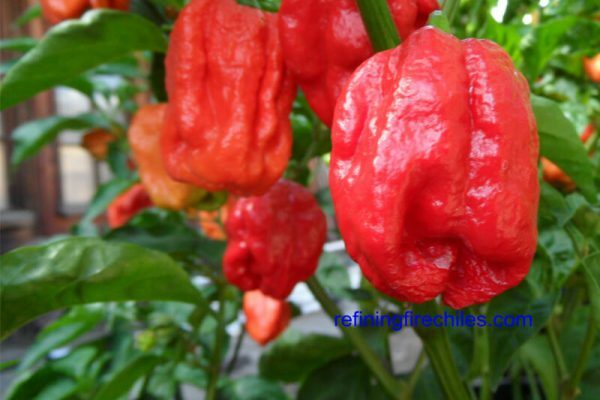 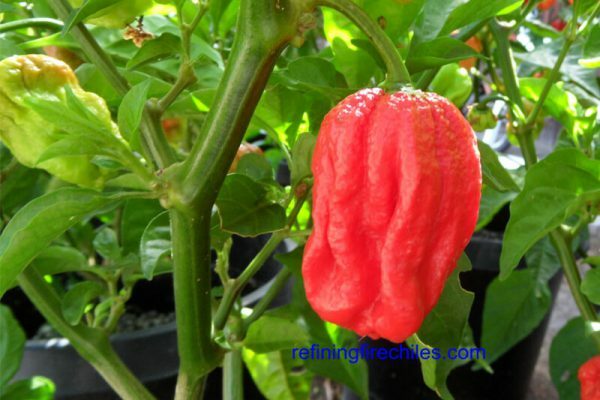 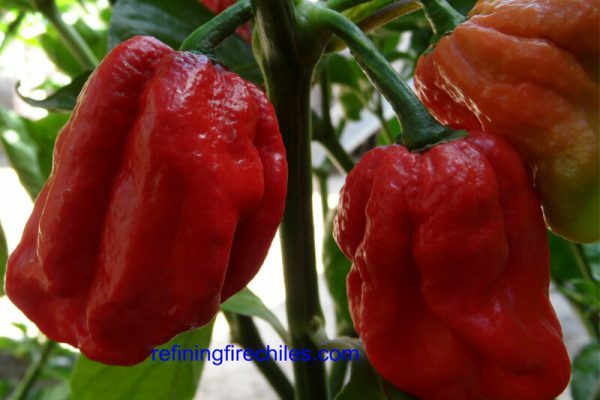 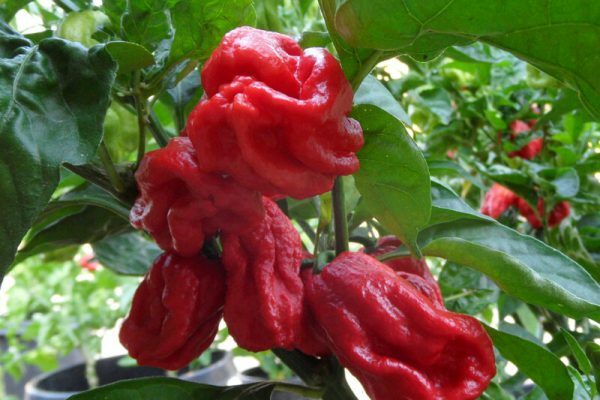 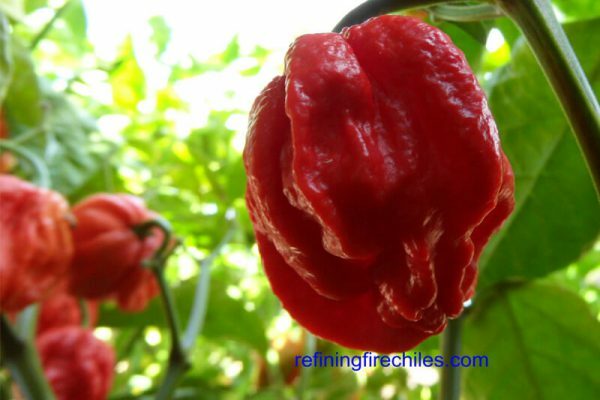 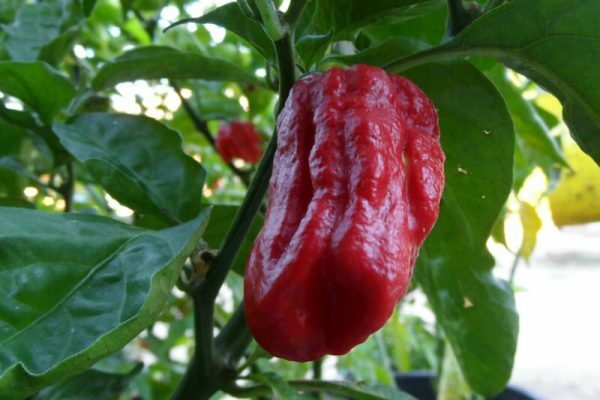 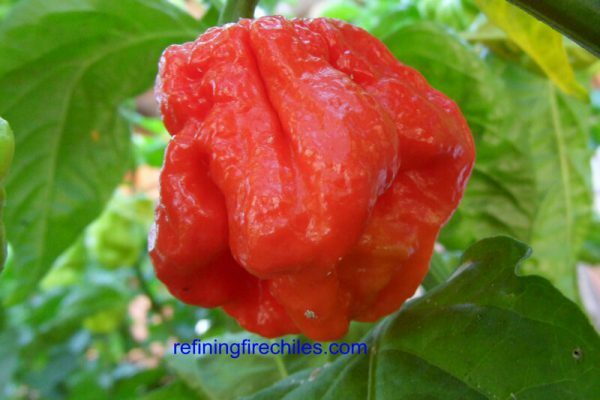 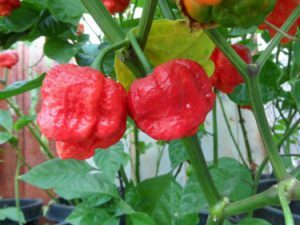 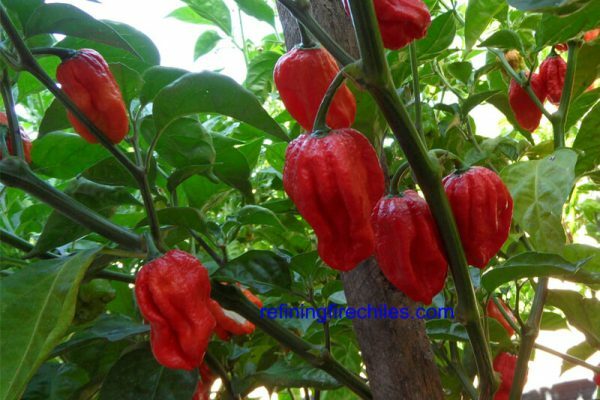 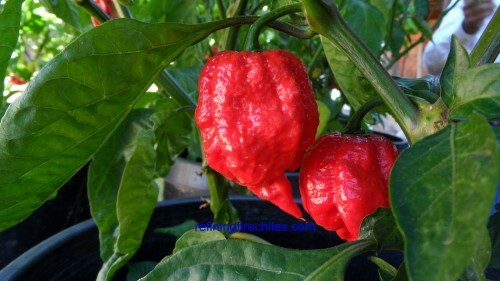 The Trinidad 7 Pot Jonah is a larger chile plant that produces larger 7 Pot strain pods. 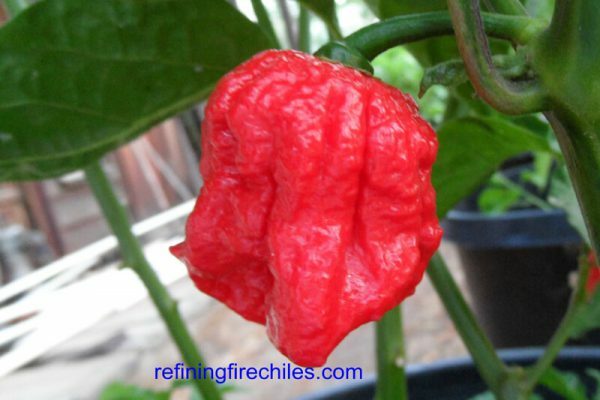 A more fruity flavor than the standard 7 Pot and slightly higher heat. 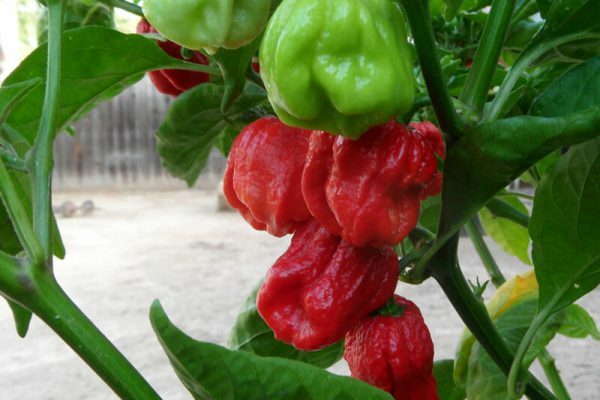 The peppers mature from light green to red. 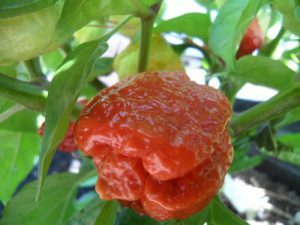 Surface of pods are pimply and lumpy with some even growing little Scorpion tails. 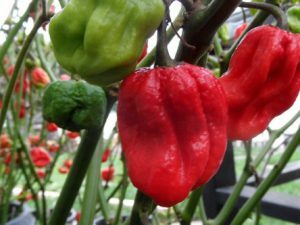 No doubt in my mind that Scorpions and 7 Pots are related. 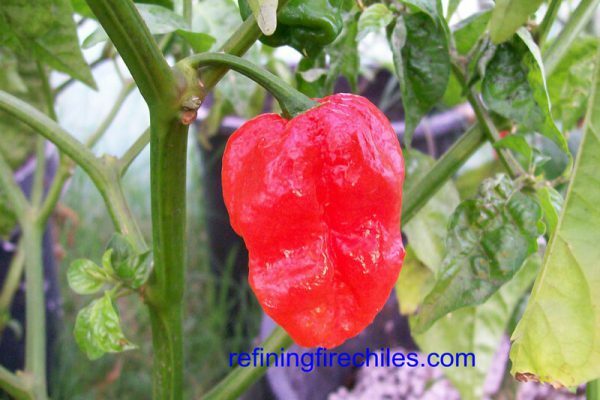 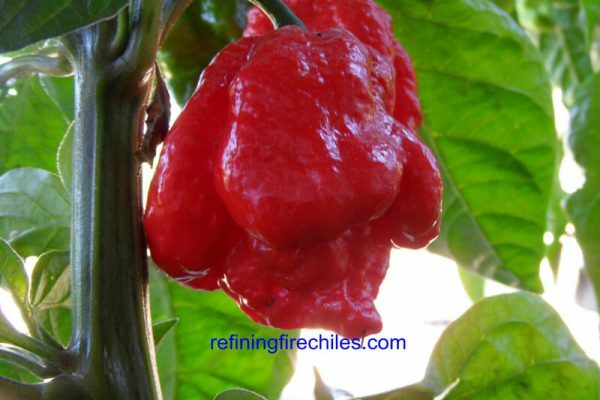 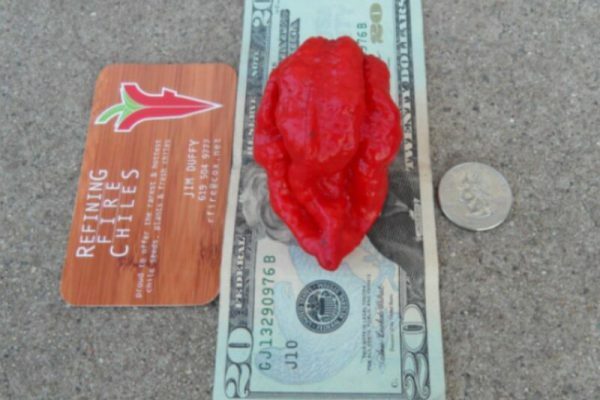 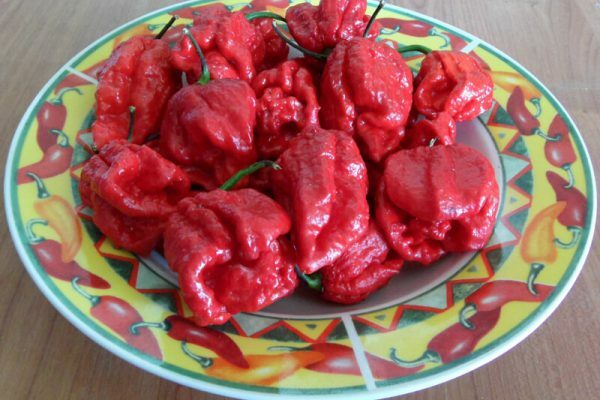 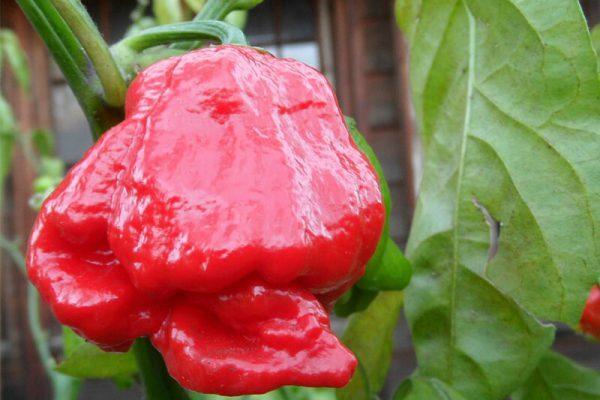 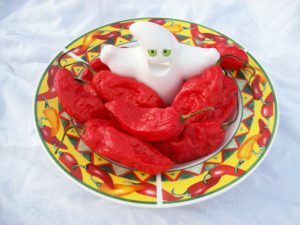 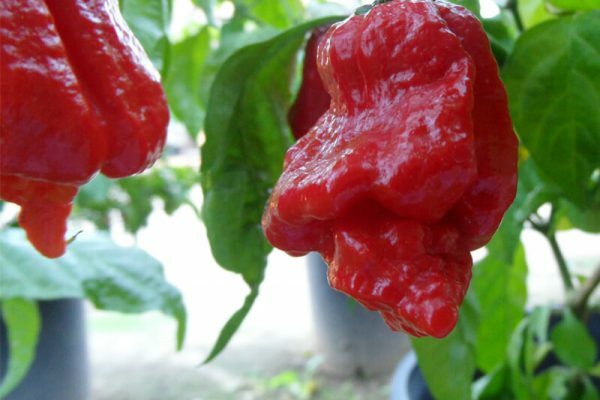 We believe this pepper consistently has higher average heat levels than the Ghost chile.